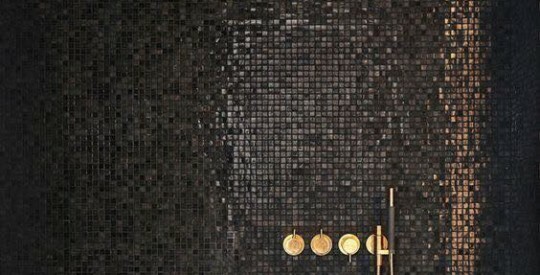 Metallic tiles is all the rage in interior design. We see it more and more in kitchens, bathrooms, and even ceilings and walls. Metallic tiles look amazing almost anywhere. They are also pretty easy when it comes to cleaning and care. Copper is becoming a more preferred option for kitchen backsplashes so if you want to try this trend know that copper doesn’t like abrasive cleaners and pads as well as acidic substances. If you’re not after an aged metal look and want to preserve shine consider special coating and protectants that will keep metal from oxidizing and staining. Look at the ideas below and choose the best option for your home!